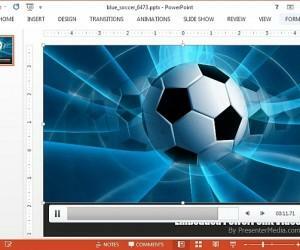 In our series of reviews about Sports Templates we have so far covered templates for American Football and Soccer presentations. It’s time to explore a template for another sport that has had millions baffled by its euphoria, so much so that the very mention of it brings out the fan in full swing. 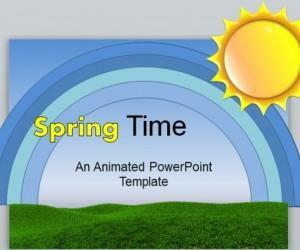 Yes, it’s time to give you something special for making presentations about Baseball! 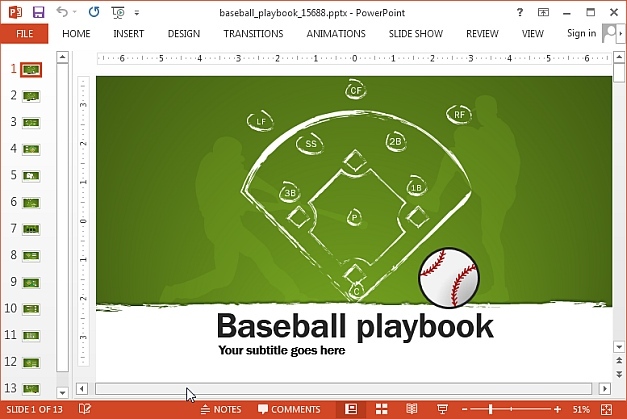 This Baseball template for PowerPoint has all that a baseball fan can wish for, including layouts with a baseball field, animations, baseball clipart, charts and the like. 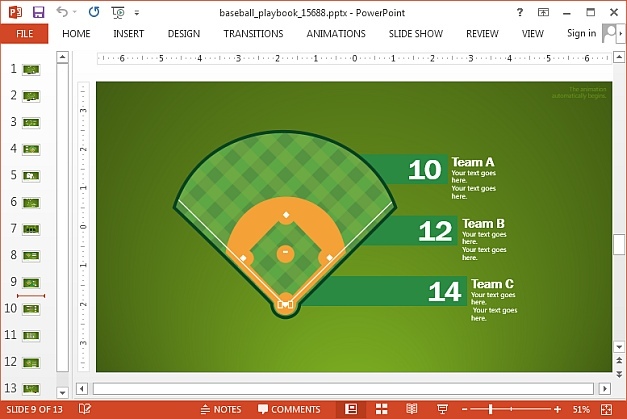 The template has been designed in a fashion which enables presenters to create scoreboards, display historical game stats, create baseball rosters, present game strategies, etc. 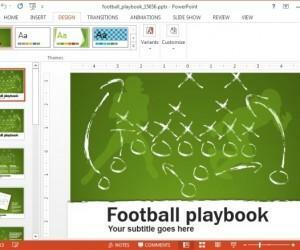 For example, if you are a coach or a player in a baseball team, you can use the baseball field slides to present your game plan. 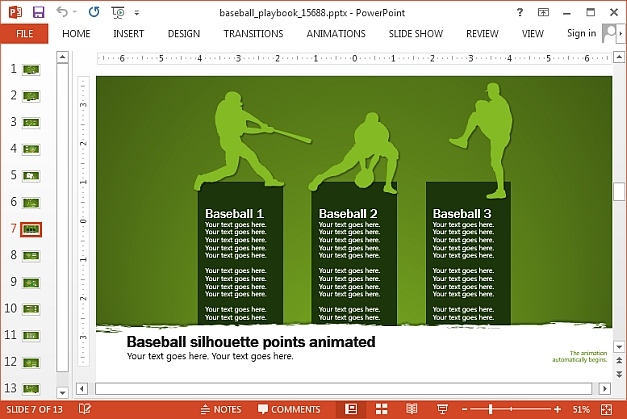 The template has a wide variety of baseball themed layouts which makes it easy to create different types of slides by making comparisons, charts and to present information using clean looking slide designs, where the text and imagery complements each other, without visually overpowering the audience. 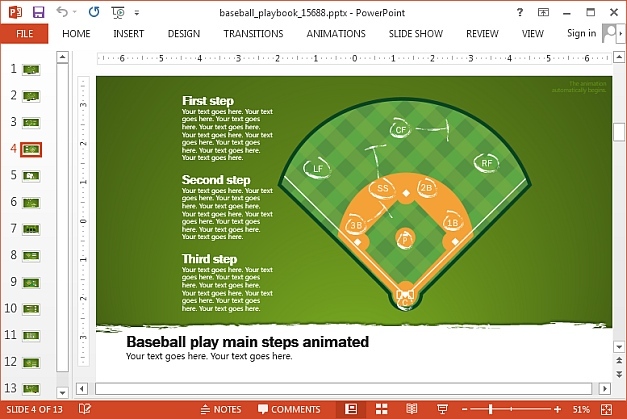 Make baseball related statistics stand out using the creative chart layouts in this template. 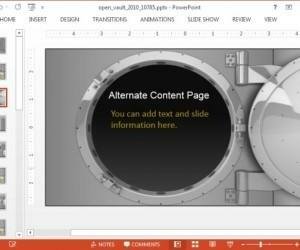 You can add your data using the highly customizable chart slides and present it in a way that will grab the attention of your audience, i.e. 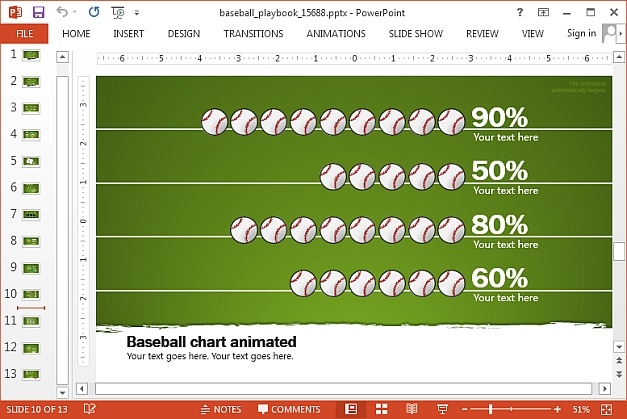 by using baseballs to present units of data. 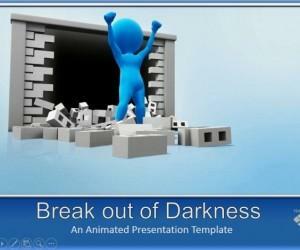 There is also a horizontal bar chart which can be used for adding statistics in a more straight forward manner. 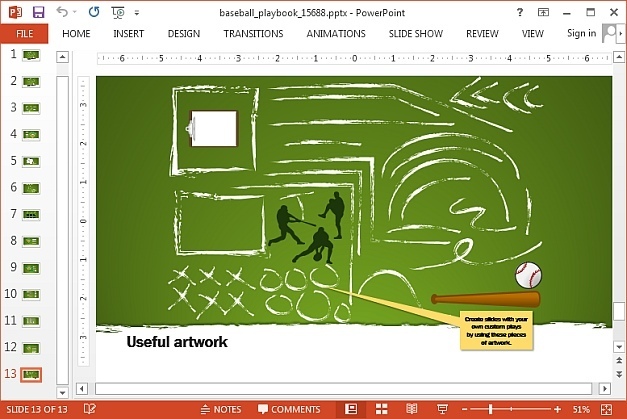 Additionally, you can also copy clipart from the artwork slide which provides baseball themed imagery. 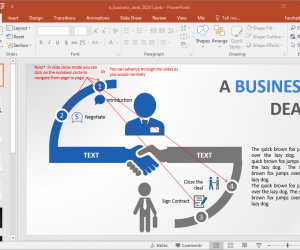 Furthermore, even the basic objects from other slides can be copied, reused and moved (via drag and drop).